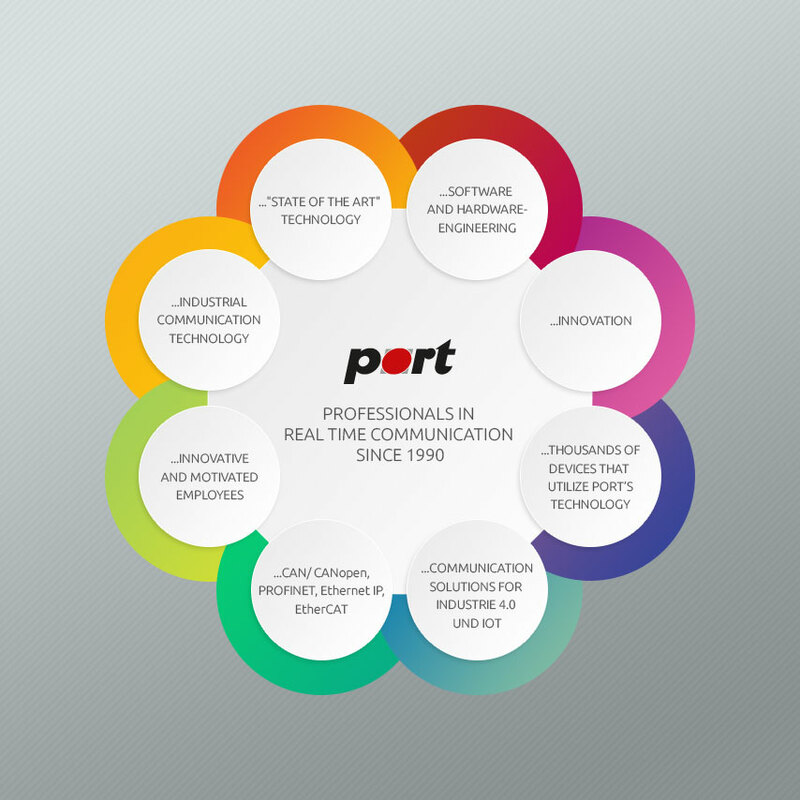 port GmbH extends the CANopen support for STMicro‘s STM32F0 Entry level Cortex™-M0 MCUs and provides connectivity for the entire STM32F family with Tools as well as with CANopen technolgy with drivers. The "STM32 F0 Entry Level-Cortex ™-M0-MCU“ offers 32Bit power for very costs sensitive applications. The STM32F0 MCUs combine Real-Time performance, Low-Power operation and an advanced architecture. The CANopen Library by port GmbH is based on the communication profils CiA 301 V4.2 by CiA e.V. "CANopen Application Layer and Communication Profile" resp. EN50325-4 and provides all corresponding services. The Library is created completely in ANSI-C and can be used with all regular ANSI-C compilers. The CANopen Library is provided in different versions. For creating small sensors and actuators with limited CANopen functionality the low cost Slave Small version of the CANopen library is available. Only the amount of available services is limited and services like SYNC and TIME are not supported. The Slave-version of the CANopen Library privides all services for creating Slave-devices, operating the full range of CANopen slaves. Network management as well as Node management fuctions are supported by the Master/Slave-version, which also provides full the range of the Slave-version. The support for the STM32F0 is untended for Single-Line functionality, which is available in BasicCAN- as well as in FullCAN-MODE. Port GmbH provides for the product lines STM32F0xx / STM32F1xx / STM32F2xx and STM32F4xx the complete range of CANopen support. Single-Line as well as Multi-Line functionalityin BasiCAN- Mode or in FullCAN-MODE are available . PROFINET and EtherNet/IP on STM32F2xx and STM32F4xx models are available by port as well. The CANopen Library is supported by the CDT (CANopen Design Tool). The engineer can use a tool which reduces the development effort and the integration time significantly.